Fish Sticks Comedy Celebrates 10 years! MILWAUKEE, WI –Fish Sticks Comedy is celebrating its tenth anniversary and more at 7 p.m. on Saturday, May 6 at Christ Church, 13460 N. Port Washington Road in Mequon. The year 2017 marks ten years since Fish Sticks Comedy had its first show in Milwaukee and it has been one year since they were joined by a long-running team based in Dallas. The Tenth Anniversary Show will be a unique opportunity to see both the Milwaukee and Dallas Sticks share the same stage. The energy and laughs is guaranteed to be off the charts making it a night to remember. Fish Sticks began when three former pro players from ComedySportz ventured out on their own to provide comedy with a purpose. They started by offering shows for churches, schools, and charities. 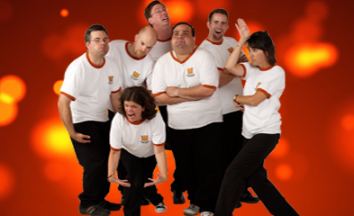 The positive response to those first shows and their all-age appropriate, squeaky clean, brand of improvisational comedy, quickly led to requests for the Sticks to broaden their reach to serve businesses with workshops and other events. Since their start, Fish Sticks has performed more than 1,000 shows for hundreds of thousands of audience members coast-to-coast. In 2016, the long-standing Dallas based group Himprov, where well-known comedian Tim Hawkins got his start, merged with Fish Sticks. 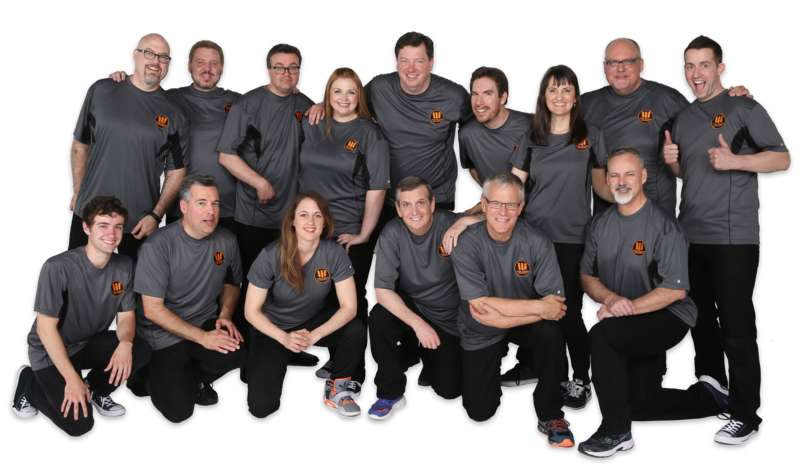 With the combined troupe now numbering nearly 20 Sticks, Fish Sticks has become one the nation’s largest improv comedy teams that exclusively does clean comedy. And with an even deeper pool of talent and geographically operating out of two states, Fish Sticks is able to serve more audiences in more places with their uniquely engaging, positive, made-up-on-the spot humor. Come join Fish Sticks for a night of laughter and celebration. Tickets can be purchased online http://fishstickscomedy.com/store/ or at the door and are $10, $8 for children, and a family ticket option for $40. Doors open at 6:30 p.m. with the performance starting at 7 p.m. For more information call 1.888.485.8124 or visit fishstickscomedy.com. Fish Sticks Lands in Russia! Fish Sticks and HIMprov Join Forces!